Donjoy's OA Everyday brace is a prefabricated everyday brace for activities of daily living; 12 1/2 inch length provides comfort and is easier to fit. The Donjoy OA Everyday Knee Brace is an effective unloader solution that reduces mild to moderate osteoarthritis knee pain. It provides pain relief by opening the medial (inner) or lateral (outer) side of your knee where mild to moderate degenerative changes have occurred. 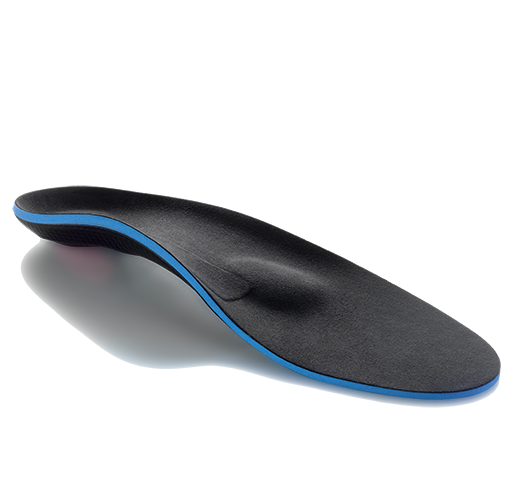 The OA Everyday by Donjoy utilizes a telescoping condyle pad on the side opposite the affected compartment to impart an adjustable unloading force that gaps open the joint while walking. Simply use the hex tool on the hinge box to increase/decrease the hinge's offloading thrust. The OA Everyday knee brace is one of the shortest length braces available today at 12 1/2", and is ideally suited for individuals with mild to moderate osteoarthritis. It's perfect for home or work use, and can be used to delay possible surgery. The swooping inner thigh accommodates different size thighs easily; comfortable padding on the top and bottom of the frame, and quick-release buckles ensure easy fitting/adjustment. 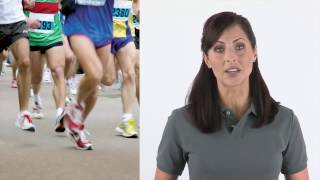 The Donjoy OA Everyday unloader knee brace is available in either a medial or a lateral unloader variety to help relieve your knee pain. Patient-controlled telescoping condyle pad lets you "fine tune" the amount of unloading to match your pain/activity level. Lightweight - only 19 oz. Quick release buckles for easier fitting. Sweeping medial thigh frame fits normal to larger size quadriceps/thighs. Shorter overall length (12 1/2") - very low profile. Contoured cuff portion of the frame redistributes the loading effect across a broader surface area for enhanced comfort. Swiveling straps & Sili-grip style padding eliminates slippage. Floam condyle pads contour of the bony sides of your knee similar to a beanbag design. Thermoformed suede padding provides greater comfort and contours very well to the shape of every thigh and lower leg. 1-year warranty on frame and hinges; 6-month warranty on soft goods. Choose according to affected compartment: Medial to relieve "bowleg" medial compartment pain, and Lateral to relieve "knock knee" lateral compartment pain. 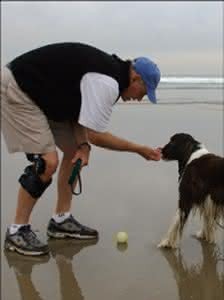 mild to moderate unicompartmental osteoarthritis and mild ligament instabilities. The OA Everyday is the lowest profile Donjoy unloader knee brace available and fits every height patient with ease. 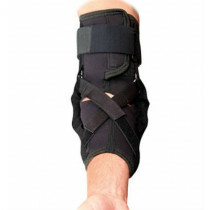 This Donjoy OA brace is an aluminum frame design for lightweight strength. It's well padded throughout for comfort with walking, and daily activity. My Donjoy OA Unloader has helped a lot with my knee pain. My only complaint is the instructions could be better. Took a few days to get used to wearing it, but I can now wear it all day comfortably. I am 60 years old and have been told I need a knee replacement. I am not ready to have surgery and still need to work like so many of us. I got the Donjoy OA Everyday for my right knee and it has helped my pain level tremendously. I use it at work and around the house when I'm up and about. It's comfortable and I like having the capability of adjusting it. 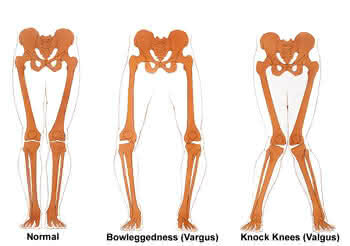 I can dial up more or less in the hinge according to how my knee feels on any given day. The brace helps me feel more stability when I walk and has drastically cut down the feeling of buckling I used to feel with completely errands like grocery store shopping. I'm grateful for such a good product being available. Here's a "given": Braces are uncomfortable and most people stop wearing them when they start to hurt (and they do) - but they won't do you any good if they are sitting in your closet not being used. I'm stubborn and didn't want to succumb to the pressure of a total knee replacement operation (I am 57). 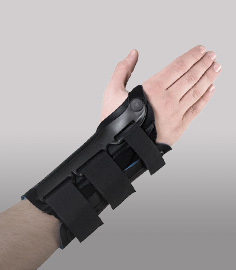 After putting my mind in the right place, I got this brace and I'm now used to it. I admit that it took me a month and a half to get to that place, but geez - it took me that long to get used to wearing contact lenses too! Bottomline: Try the non-invasive solution first, because you can always choose to operate later if you have to.